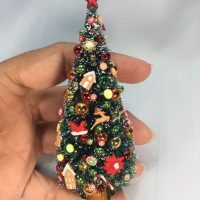 With the holiday season finally in full swing, it is time to break out your crafting supplies and start creating beautiful DIY Christmas crafts. Here to make it as fun and easy for you as possible is DIYnCrafts. Over the past few weeks, I have been uploading a whole bunch of Christmas crafting videos, and today, I have something awesome in store for you! 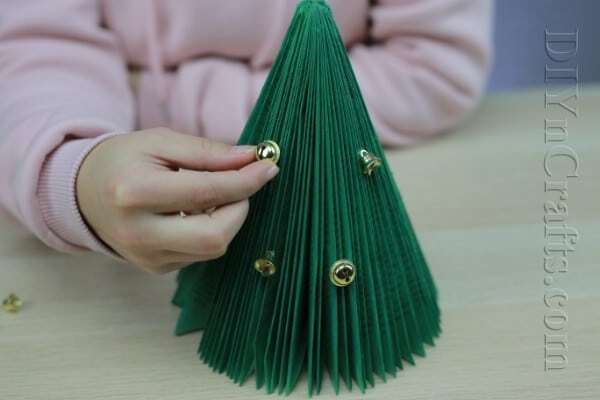 In the video below, I will teach you how you can take a plain, old, ordinary paperback book and turn it into a Christmas tree! 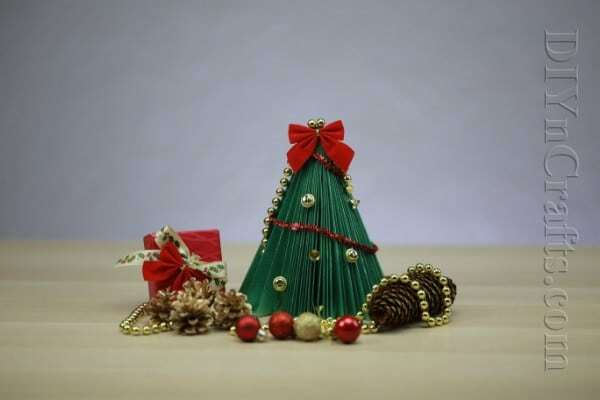 It might sound like a challenge, but this Christmas tree craft is astonishingly simple. Well, now is your chance to turn that around in a sense. 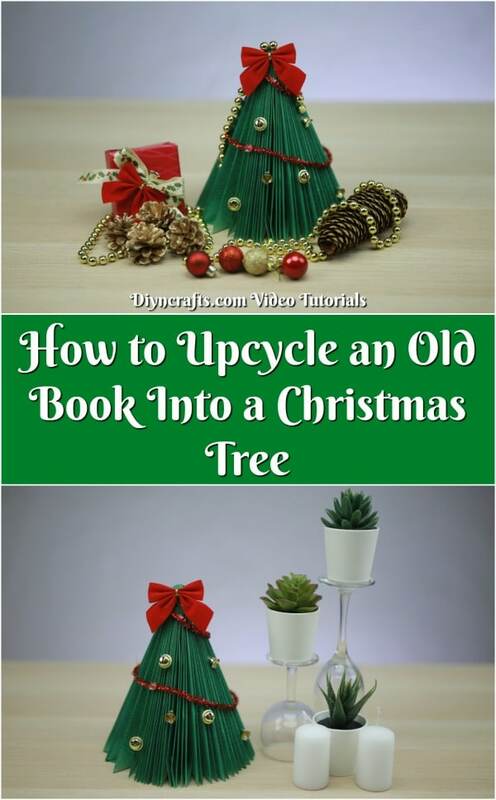 This project lets you take an old paperback book you don’t want anymore and make it back into a tree for the holidays. Best of all, it is a tree which will never die. You will be able to enjoy it year after year. Shall we get started? Below, you can find the materials that you need for this project. 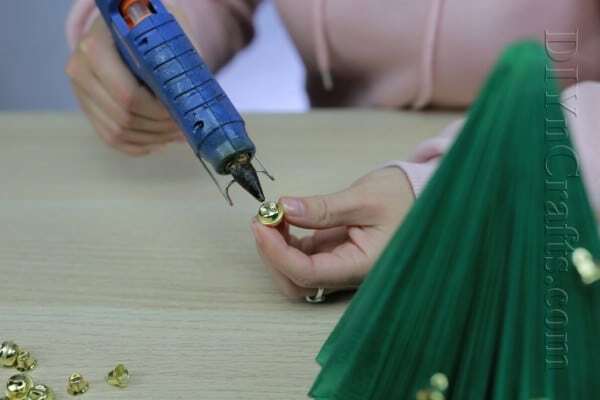 As far as tools go, you actually do not need any at all aside from a hot glue gun. That means that this project is accessible to anyone who has just a few simple supplies. If you enjoy crafts with old books and are looking for a holiday project, then you will enjoy our latest video tutorial. 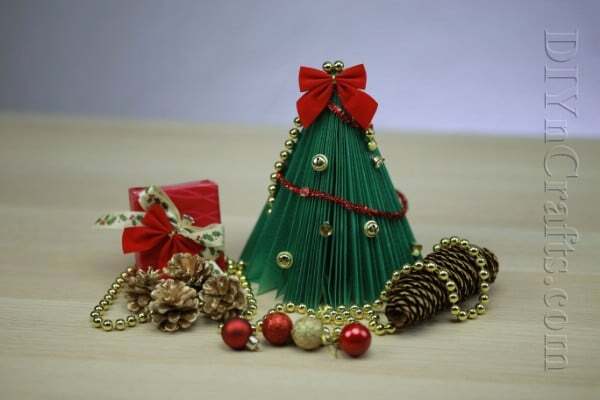 We will teach you how you can transform an old, unwanted book into a stunning Christmas tree. You will be amazed by how fast and simple this project is. To begin, get an old book that you no longer plan to read. If possible, select one which has a flexible, well-worn binding. 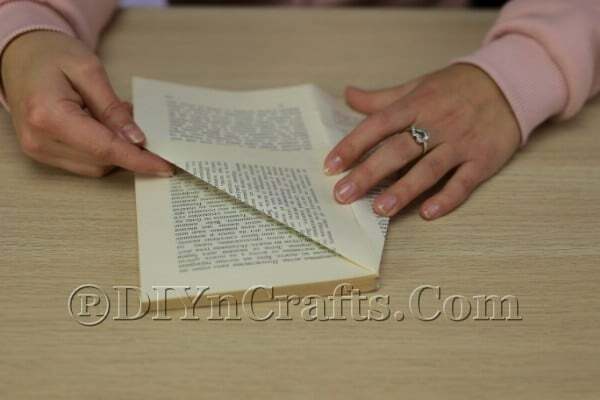 Remove the book’s covers entirely, but leave the binding intact. Put the book down in front of you on your work surface. Taking hold of the first page, fold down the top corner toward the binding to get a triangle shape. Flatten it. The next step is to take that same page and fold it down again in the same fashion. This will make the angle more acute. Look at the bottom of the page that you just folded and turned. You should see a small triangle sticking out. Fold it upward to create a flat edge. That page should now have a triangular shape. Move on to the next page. Repeat steps 2-5 so that this page is also a triangle shape. Move on to the third page and do the same thing. Repeat this with every single page in your old book. When all of the pages in your book have the same triangular shape, pick up the book and join the first and last pages together with hot glue. Alternately, you can use double stick tape. Either way, you should end up with a cone shape which can stand upright without aid. 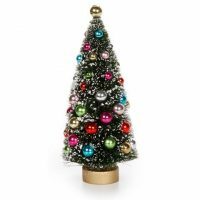 Once you have created the shape of your tree using the steps above, you can use green spray paint to turn it the proper color of a tree. 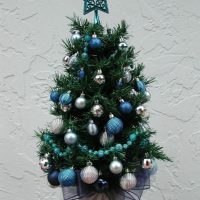 Next, you will want to put some decorations on your tree. Technically, you can use whatever you want. What I chose were some small bells which can stand in easily as ball ornaments. Plus, bells are already pretty Christmassy. 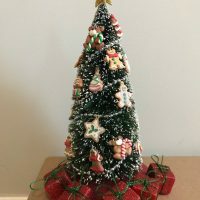 Use hot glue to attach them to the tree. 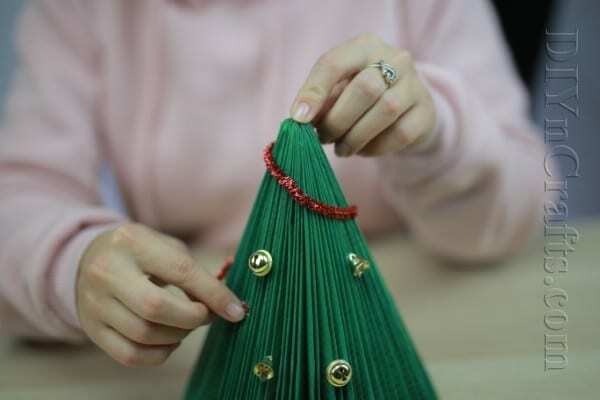 After you have attached the bells, you can use shiny pipe cleaners in place of tinsel. 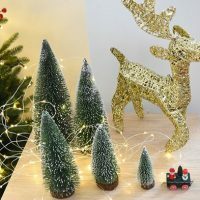 Just bend them around your tree and glue them in place. As a last step, top your tree with a bow. You now have an amazingly beautiful Christmas tree which started out life as an old book you would probably have thrifted or thrown away. 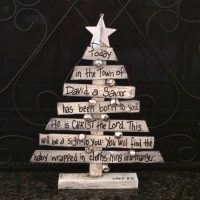 Unlike a traditional Christmas tree (or trees which are cut down to make books), the tree you have just created can grace your home every holiday season. In order to make sure that it stays in pristine condition, you will want to take better care of it than you likely did the old book you used to create it. To make sure that it does not get crushed while it is in storage, surround it with plenty of bubble wrap or tissue paper. If you enjoyed this holiday craft video, you will definitely want to check out this video where I show you how you can transform an old book into a Christmas angel. In fact, the first few steps to creating the book angel are actually the exact same steps that you used to create the book tree. So you should find it an easy matter to jump from one project to the next. Enjoy both of them, and make sure that you take a look at some of the other videos I have posted recently. 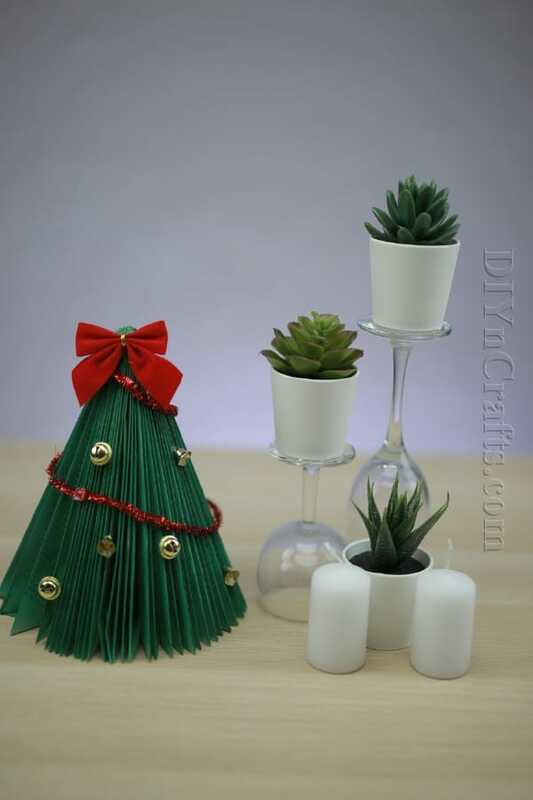 I made some trees out of national geographic books about 24 years ago for table decorations at a Christmas party. I painted them gold and sprinkled them. With clear glitter and a star on top. They looked real elegant and most were taken home as souvenirs. Will be making some this year. Thanks for sharing your creative ideas.